In addition, the borrower will also be asked to pay1-2% of the terms of the loan to show their commitment to the deal, which will be refunded once the loan is closed. Having your documentation ready and knowing what a lender is looking for in a potential loan candidate can help you secure your loan and put you one step closer to your ideal office space in Kansas! 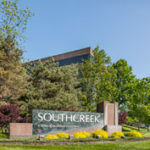 Give Kathy Woodward at DDI Commercial a call today at 913-685-4100 to learn more about office rental in Kansas City through Southcreek Office Park!